Ontario Pork represents the 1,549 farmers who market hogs in the province in many areas, including research, government representation, environmental issues, consumer education and food quality assurance. The pork industry in Ontario accounts for 1 in 7 jobs, and it is estimated that total industry output from farm gate sales is worth $5.6 billion to the Ontario economy. 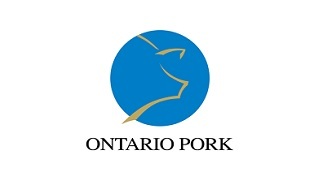 For more information visit Ontario Pork’s website at www.ontariopork.on.ca.